Tim O’Hare serves as the Director of Financial Planning at Geller Advisors. Tim works closely with individuals and families to plan and implement comprehensive solutions that will help them build and sustain their wealth. This involves Tim’s oversight of a multi-disciplinary team that covers comprehensive wealth planning including investments, tax, financial management, trust and estate planning, philanthropy and more. Tim has nearly 30 years of professional experience in wealth management and public accounting. He focuses on wealth sustainability planning as the foundation for building and maintaining family wealth over fluctuating markets and multiple generations. Before joining Geller Advisors, Tim was the Chief Planning Officer at Archetype Advisors, where he led the development of a comprehensive planning delivery platform and oversaw all aspects of the financial planning process for many of the firm’s high net worth clients. 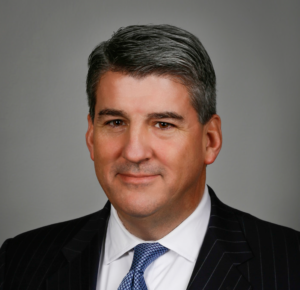 Prior to Archetype, Tim served as Senior Vice President, Director of Tax and Financial Services at Lazard Wealth Management. He also served in various senior positions at UBS Financial Services and Bessemer Trust. Tim is a member of the American Institute of Certified Public Accountants as well as the State Society of CPAs of New York and New Jersey. Mr. O’Hare earned both his B.S in Accounting and M.S. in Income Taxation from Seton Hall University.